Analytics of iPhone commuter app developer Pandav show usage of an unreleased iPhone. 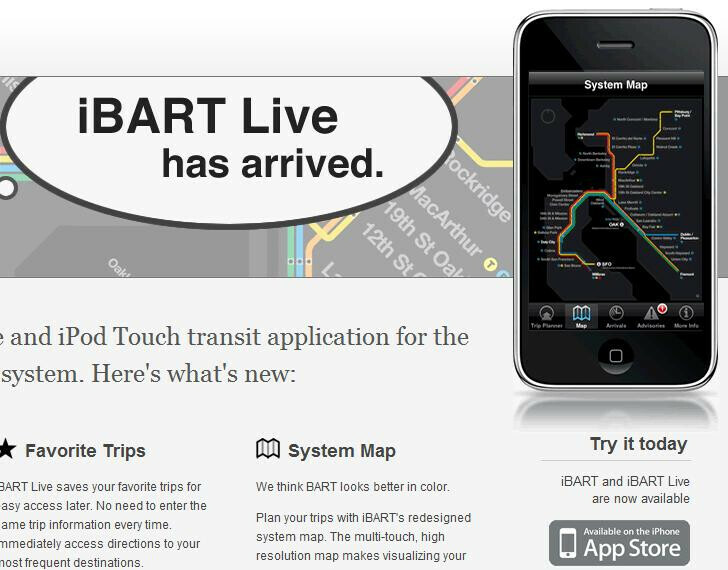 The app used was a guide to the San Francisco train system called iBART. The company that provides the anlytical data, PinchMedia, breaks down usage by different devices. The information is reported to developers using identification numbers assigned by Apple. The id iPhone3,1 has been in use and written in Pandav's log since November and does not match up to any currently shipped iPhone model. The last released unit, the iPhone 3GS, is identified by the code 'iPhone2,1'. Pandav has turned this information over to MacRumors. On the latter's web site, it is also reported that the iPhone3,1 id was discovered in the phone's firmware back in August. This is the first time that it has been seen in the 'wild'. The site goes on to add that there are rumors that the next iPhone model will have a multi-core processor to improve performance, and that the new unit could have Verizon compatibility as soon as the middle of next year. I mentioned awhile ago about Apple releasing an IPhone counterpart that would have compatible CDMA Chipset and be LTE ready but only sold as a Full Retail device in the Apple Store, which would get activated on the carrier of the device that supports the frequencies it has available on it. It would not surprise me if this is what happens and then the customer takes it home to activate on the carrier that will support the device with a plan. I personally don't care how the iPhone gets compatible with VZW, as long as the end result is that IT'S COMPATIBLE WITH VZW. The situation you describe doesn't sound like a bad situation. Just as long as one of the companies supports the device. When I upgraded my Storm OS to the last 4.7 one, I was having all kinds of issues with it, and the people at VZW told me it that the ball was entirely in my court, so to speak. They wouldn't help me at the store, and when I called tech, the tech guy said that smartphones are left up to the consumer to figure out, and that VZWs hands were "tied". And we all know RIM is such a hassle dealing with. Multi-core processor... kind of like what it already has. I agree hova... sure there is some downside and limitation to 3rd party apps but the up side of non-multitasking is batt life like you said. Its sort of like GSM vs cdma call/internet at the same time. Some like/need the multi-tasking and some don't. They are just features (like anything else) that each person has to evaluate when choosing a device for their needs. yea, that call and data at the same time would be more appreciated by the business kids. 'Take a business call while looking over the numbers that your client emailed you', or, 'Get a call from a contractor, have him send over a picture of the floor plan via mms, while going over it w/ you', that sort of thing..
Really dude? You wouldn't use Pandora in the background while checking email and web browsing? How about a exercise route tracker like Cardio Trainer? Use your MP3 player while playing a game? No multi-tasking = absolute deal breaker. Way more so than talking and web browsing. My battery still lasts a day with some multi task useage, and it would be a huge annoyance for me to not be able to do it. Wow...seriously? Checking email or web browsing while having Pandora going? That's called ADD. Dude...slow down..chill out. Your phone won't evaporate. Bet this is the same guy that goes into the store complaining about his phone freezing/powering down a lot. What's so extraordinary about listening to internet radio while doing something else? You're telling him to slow down? That isn't any kind of reason to "slow down". Why don't you try telling the people on here that insist on taking calls while being on the internet or checking email. Last time I checked having music on in the backround while accomplishing another task wasn't out of the ordinary. This isn't anything new, i don't understand what the big deal is. Verizon will almost be assured to get the iphone sometime in the second half of next year and that has already been widely reported. Yeah, neither Apple nor Verizon has confirmed anything yet. I don't know where you get your information from. Besides, VZW is notorious for putting the Veto on devices if the platform is too open. Putting carrier restrictions on the Iphone is probably not something that Apple would welcome, nor customers for that matter. So nothing is certain when it comes to Verizon and handsets. Too open? your talking about the Iphone correct? If anything apple was too closed with not allowing VZW to put forth and troubleshoot the device and not to mention wanting a higher percentage of prophets for selling the device. (which is why VZW passed on it in the first place. )Not to mention VZW is currently selling an Open Sourced phone. I do agree however that nothing is certain when it comes to VZW getting an Iphone only that ATT Exclusive rights will be running out is the only thing thats certain. The only certain thing about Verizon handsets is that they will almost all certainly be piles of garbage and have customers living in the tech line at their local VZW stores. That VZ Blackberry commercial with the "paperweight mode" comment was very ironic in that that's what most VZW phones end up becoming just a few months and 5 replacements later. Ha! And the only certain thing on here is that you're obviously a douche. Throwing in a multi-core processor ain't gonna cut it. The hardware is seriously dated at this point. As a Verizon customer, I'm not wasting my money on paying a premium for 3 year old hardware specs. If the new iphone doesn't have a larger display (maybe OLED), WVGA resolution, and at least a 5MP camera with flash, don't waste your time shoehorning a CDMA chipset in there, Apple. Oh yeah, don't forget to ditch your proprietary connector for a mini/micro USB one. Haha. Fat chance, right? I dunno, like dandirk stated, the screen size is perfect, if any bigger, it would kill the battery life and throw off the balance of the phone- it's really a perfect device design wise. I do agree w/ you on the proprietary connectors though, it would make everything easier if Apple did throw on a micro USB port, but I dunno if their proprietary setup has anything to do w/ the inner workings. Apparently the Droid doesn't agree. It has a bigger screen with higher resolution and it's barely thicker than the iPhone WITH a hard keyboard, and its battery life is just fine. this is good news for the apple fans.